Rare Royal Female ancient Egyptian Polychrome Clay burial mummy mask!. 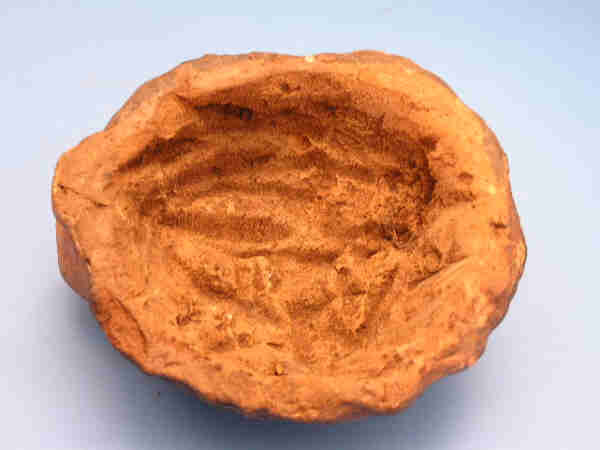 Upper Egypt - Authentic Antique. What a neat item for that Ancient Worlds lover. This is a wonderful Ancient Egyptian clay sculpted burial mask also referred to as a mummy mask. This mask was fashioned from a very rich clay material and colored with such wonderful vibrant pigments. 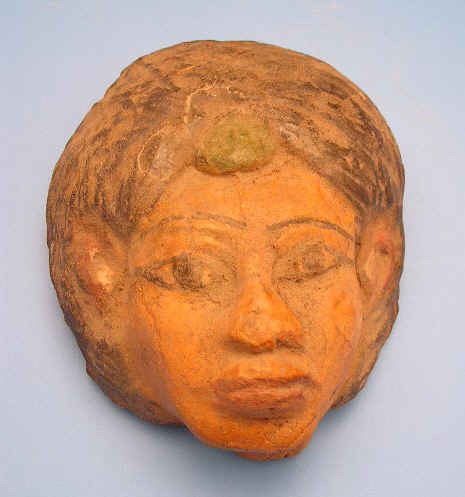 This face is of a Royal female, possibly queen and greatly resembles Queen Tiy of the 18th Dynasty. 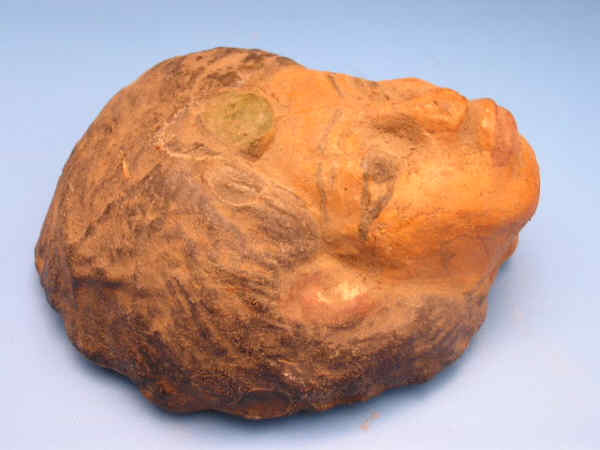 The face has been painted a light brown color with a black hair or wig and a large green gemstone? at the forhead. The Facial features appear in proportion. This is a lovely little Mask in wonderful condition!.You will not find another piece quite as beautiful or detailed. This mask holds an extremely high value and the price is set far below the resale value. Please examine all photos provided. As always sold to the highest bidder!. This superb piece measures 4 1/2" by 3 3/4"inches.